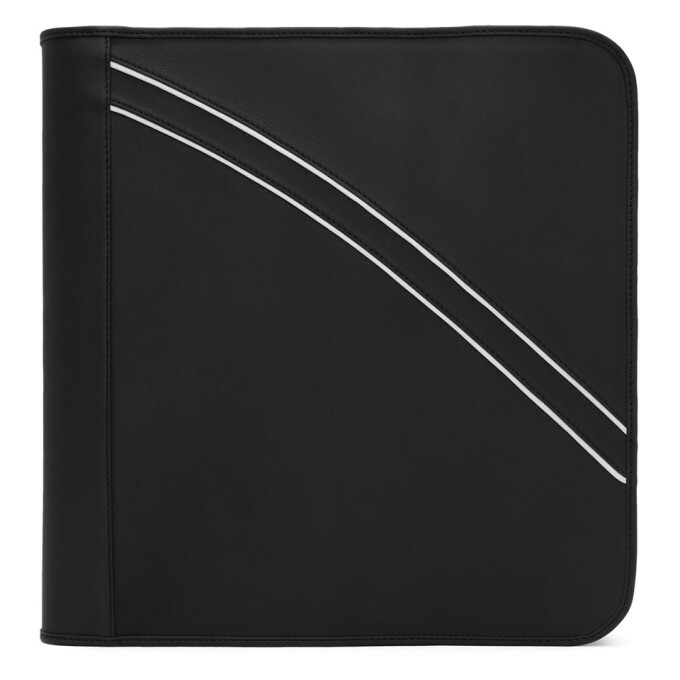 Ribeyron Black Binder Pouch $203.00 Buffed leather pouch in black. White leather stripes at front and back faces. Zip closure. Embossed logo and patch pockets at interior. Tonal leather lining. Tonal hardware. Tonal stitching. Approx. 12.5 length x 13 height x 1.5 width.